Every girl wants to have shiny hair, but not many actually know how to achieve that or keep their hair looking beautiful. If you have dull and lifeless hair, stop going to your hairstylist every other day, and take a look at a couple of useful tips for shiny hair instead. If you think that brushing can make your #hair shiny, you should know that you can actually damage it that way. So – you need to stop over-brushing if you want to get and keep #healthy #hair. 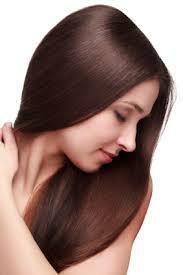 Moreover, you should never brush your #hair while it is wet. Use a wide-tooth comb instead, in order to prevent split ends that make your #hair look dull. Another thing you need to stop doing is washing your #hair every day. Don’t worry that it will be dirty, because if you don’t use a lot of different products or have naturally oily #hair, washing it too often can actually damage it more than you might think. When you start feeling that your #hair needs to be washed, use a dry shampoo instead. If you want to get and keep shiny #hair, never skip on your conditioner. Choose a conditioner that matches your #hair type and use it in order to prevent frizz and fly-aways, but make sure that you are not using too much of the product or your #hair will look greasy. You might think that your flat iron can help you achieve that beautiful, shiny effect, but using heat styling tools too often can actually make your #hair brittle and dull. So, if you want #healthy #hair, use your blow-dryer and your flat iron only when you really need them. What do you think? Do you have any other advice for the girls who are trying to get glossy tresses?